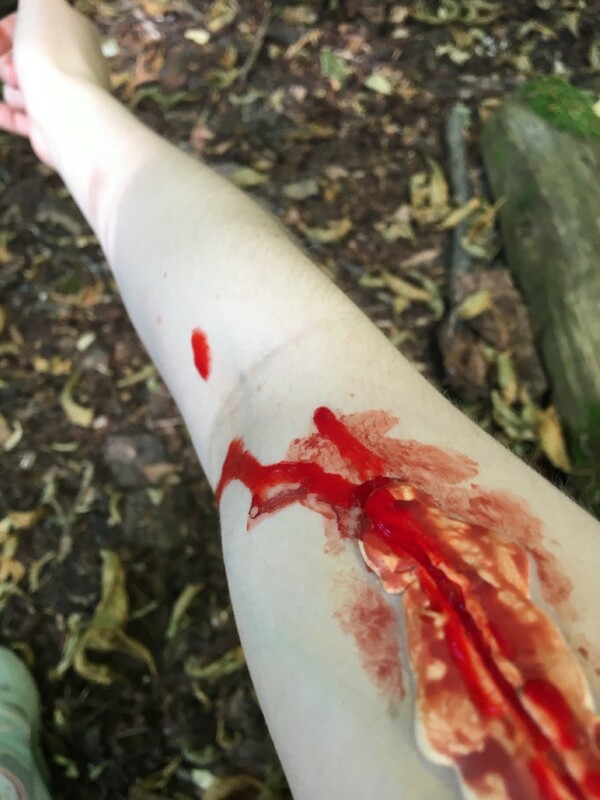 “This week, the students have been undertaking workshops in Nature and Art, exploring the beauty of the Wycombe Abbey woodland. 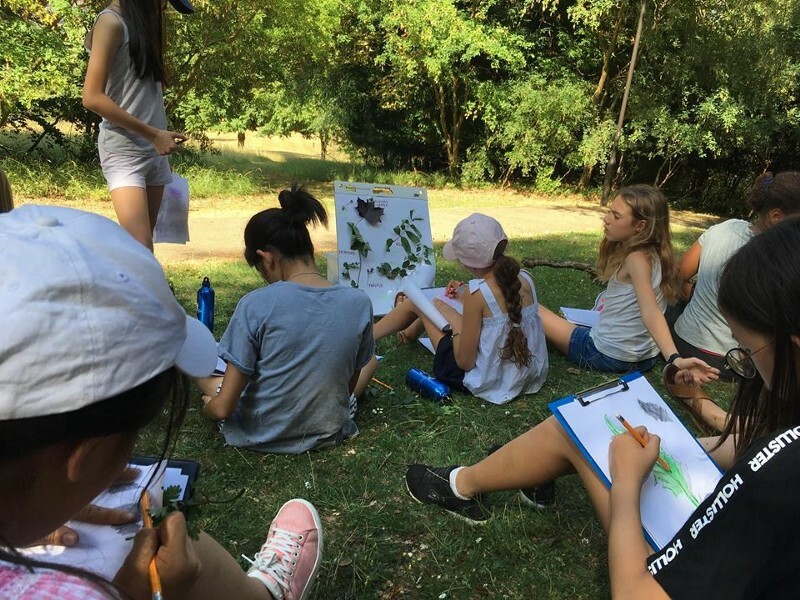 After a hot climb up the hill, we managed to find a shady spot under the tree canopy, where we set up our art supplies and prepared to do a scavenger hunt. Students learnt to identify different species of trees and flowers and then sprinted around to collect them in teams. 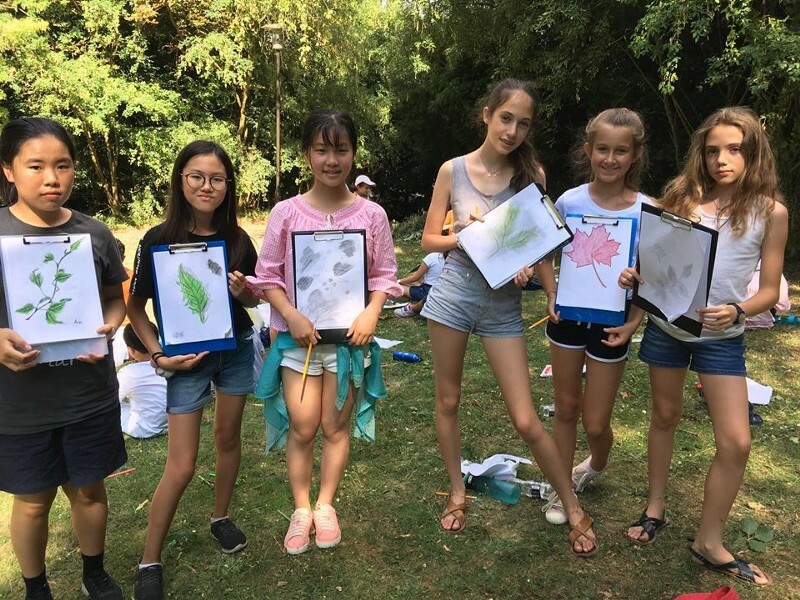 Afterwards, we made art inspired by the things we had found- with everything from detailed sketches of flowers and pine-cones to oil pastel rubbings of leaves. In the quieter moments, we also managed to spot some wildlife, including deer, bats and butterflies!